Ideal for athletes who want an all-around wetsuit to use while training and racing, the new Vortex Fullsuit continues to offer the perfect combination of performance, flexibility and durability. The interior is lined with X-FLEX LINER 2.0, for smoother transitions, and its upgraded neoprene provides greater overall flexibility and buoyancy. 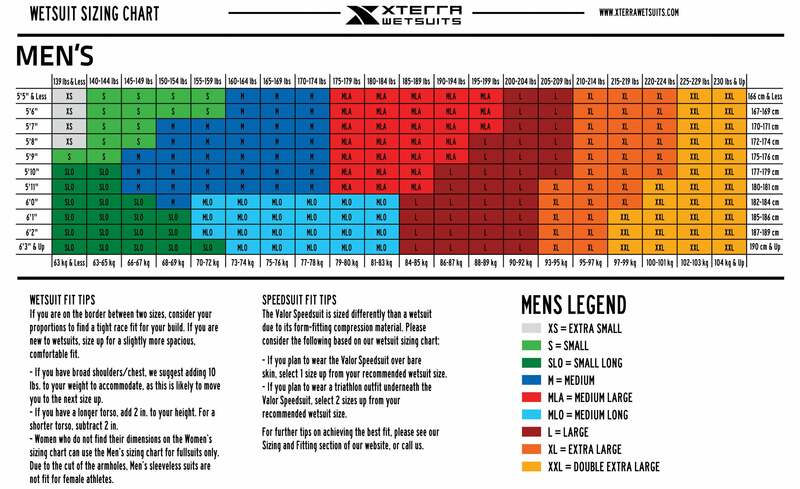 The Vortex Fullsuit is the #1 best selling triathlon fullsuit for the past five years. When you are looking for a fullsuit wetsuit - unrestricted arm movement - simple is better, with features that make sense. Ideal for 10 miles open water swims where flexibility in arms and shoulders is needed.